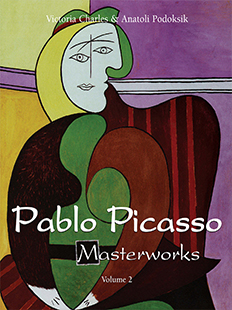 For many people, Pablo Picasso (1881-1973) was undoubtedly the most important artist of the 20th century. Born in Málaga, Spain, Picasso revealed his genius at a very early age and was quick to make contact with the most advanced art circles of his time, first in Barcelona and later in Paris. In the modernist quest for novelty, Picasso turned to pre-modern history and ÂprimitiveÊ art for inspiration. We owe him and his colleague Georges Braque the invention of Cubism, not just one of many avant-garde movements but the aesthetic that would change the art of painting forever. Once free from traditional values, Picasso produced an outstanding oeuvre, both in terms of variety and quality.